WhatsNot App? What is that? WhatsApp is one of the most powerful and highly popular messenger app available for both android and iOS devices. It is so reliable that it encrypts everything to keep the messages and connection secure. WhatsApp has made it easy for everyone to connect with family, friends, office staff, etc. WhatsApp is the widely used instant messaging app. It allows you and your friends to send instant messages, check profile pics, status and last seen. There is officially no way to hide your whatsapp status, last seen or hide profile pics on Whatsapp. The only way to do is by blocking the people or you can change the privacy settings of WhatsApp to nobody, everyone or my contacts only. That is the hard way to do it. This will not work if you want to hide your WhatsAPP profile pics, last seen or status from specific people without blocking them. But I have an easy solution for you. There is one perfect way to hide your whatsapp status, profile pics ands last seen without blocking anyone. Yes, I am not bluffing. There is an app available in Google App store that can do the job for you. Don’t worry, I will explain everything here. The app is Whatsnot for WhatsApp. What is Whatsnot for WhatsApp? As I already said Whatsnot for WhatsApp is the app that will help you to hide your profile pics, last seen and whatsapp status without blocking anyone. 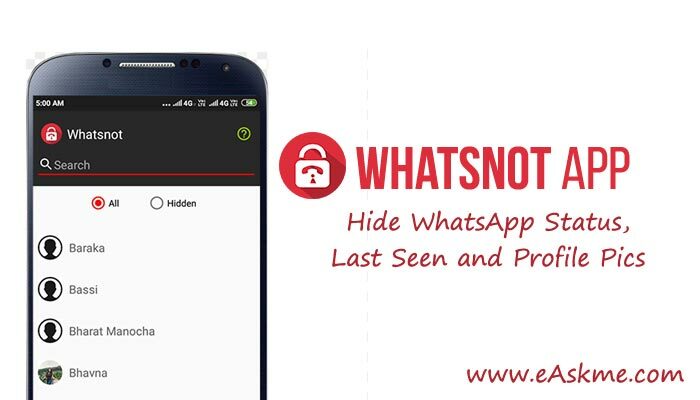 Using this app you can hide your Whatsapp status, pics and last seen from specific people also. It is quite easy to use this app and the beauty is that it is a free app. If you do not want anyone to use your profile pic or you simple want to hide it then you must use this Whatsnot app. 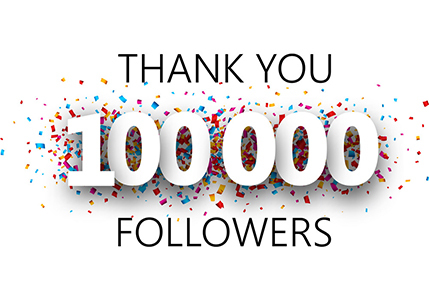 The app is already very popular and millions of people are already using it. Whatsnot app comes with some amazing features that make it popular among WhatsApp users. It is super easy to use Whatsnot APP. It is available on APK App store. It a free app. You can use Whatsnot for WhatsApp to solve privacy related issues. Whatsnot App simple gives you a feature to block the unwanted calls by disallowing people. That means you need not to block the person from your whatsapp. WhatsApp users can easily check your last seen. It is open for everyone. Whatsnot App feature allows you to customize your last seen. All you need is to select the people you want to disallow from checking your last seen or you can hide your last seen easily. Whatnot App also allows you to create your new contact list. This contact list will be different from your phone contact list. This contact list will be related to WhatsApp only. You can set the WhatsApp privacy setting for this list. Whatnot app encrypts the name of the people you added in disallow list. But, if anytime you want to check their number than you need to simple tap on the name of that user. These are the features that have made Whatsnot App the most popular app among WhatsApp users. Now let’s see how you can use Whatsnot app for WhatsApp. How to use Whatsnot App for WhatsApp? To use WhatsNot app you need to download it from APK AppStore. It will ask for permissions, allow it. Now it will show you the list of contact on your phone. You can simply click on the contact you want to hide from Whatsapp. Your selected contacts will start showing in “Hidden” tab of Whatsnot App. There is no doubt that WhatsApp is one of the most reliable instant messaging app. It is highly secure app. But, still you should always take care of your privacy using additional settings or apps. Whatsnot app helps you to easily fix any privacy related issue. Whatsnot App work in all the android devices, so you will not have any problem using it. Whatsnot app for WhatsApp is a completely free app. Use it and let me know what you think about it. Also share if you feel any privacy concerns when using WhatsApp.